I'm showing a card that comes directly from the catalog today. On page 93 is the Weather Together and Umbrella Weather Framelits card. I just copied the excellent card idea that Stampin' Up! provided for us all. They may have used Daffodil Delight as their yellow, but I chose Crushed Curry. My watercoloring is in Pool Party and matches the lovely Baker's Twine tied around the umbrella post. Those pearls are a lovely accent. Thanks for looking today! I hope you are inspired because I'm here for you! 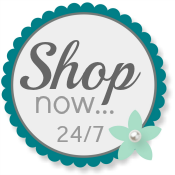 Please use my Online Store any time you need your own Stampin' Up! Supplies.